►From 1978 to 1981 was Head of the Geotechnical Institutein Graz, and since 1981 Full Professor at the Technical University of Vienna chairing the prestigious Institutefor Soil Mechanics and Geotechnical Engineering, which was founded by Professor Karl Terzaghi in 1928. ►In 1977 was appointed Full Professorfor Soil and Rock Mechanics and Foundation Engineering (includingTunnelling) at the Technical University of Graz. ►In 1971 was appointed Associate Professor, but left University to pursue comprehensive practice and applied research as a freelance consulting engineer on various construction sites in Austria and abroad. ►From 1963 to 1966 - Assistant at the Institute for Ground Engineeringand Soil Mechanics at the Vienna Technical University, then Assistant Professor and Head of the Soil Mechanics Laboratory. ►Has been fully responsible for around 3500 projects of civil engineering, geotechnical and environmental engineering in Austria and elsewhere: e.g. retaining structures up to 70 m height, high motorway embankments (upto135m), risky slope stabilizations, bridges in unstable terrain, deep soil improvements, high-rise structures, waste disposal facilities, contaminated land rehabilitation, power plants and buildings under difficult conditions flood protection, etc. ►Has been active world-wide since 1968 as chairman, general reporter, state-of-the-art reporter, special lecturer, keynote lecturer, discussion leader and panellist at numerous international conferences on soil and rock mechanics, ground engineering, road and bridge engineering, environmental engineering,geosynthetics, etc. ►Has delivered more than 450 different invited lectures covering the entire professional field. ►European President of the International Society for Soil Mechanics and Geotechnical Engineering (ISSMGE) for the period 1997-2001. 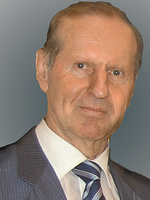 ►Since1972hasbeen Chairman of the Austrian Society for Soil Mechanics and Geotechnical Engineering. ►Since the 1970’s a member of advisory boards, scientific committees and paper review committees worldwide; member of editorial boards and review committees of international scientific journals. ►In 1992 was appointed foreign member of the Royal Academy of Sciences of Belgium, and since 1997 he has been member of the New York Academy of Sciences. ►Received numerous national and international awards, honorary doctorates and other honours. ►Was the Rankine Lecturer of the year 2001 and the Manuel Rocha Lecturer of the year 2008. ►Chairman or key member of numerous national and international technical committees. ►1st K. Szechy Lecturerin Hungary, the 1st Nonveiller Lecturerin Croatia, Suklje Lecturer in Sloveniaetc. ►International activities in 83countries in all continents. ►Since June 2003 has been President of the Austrian Society of Engineers and Architects, founded in 1848.